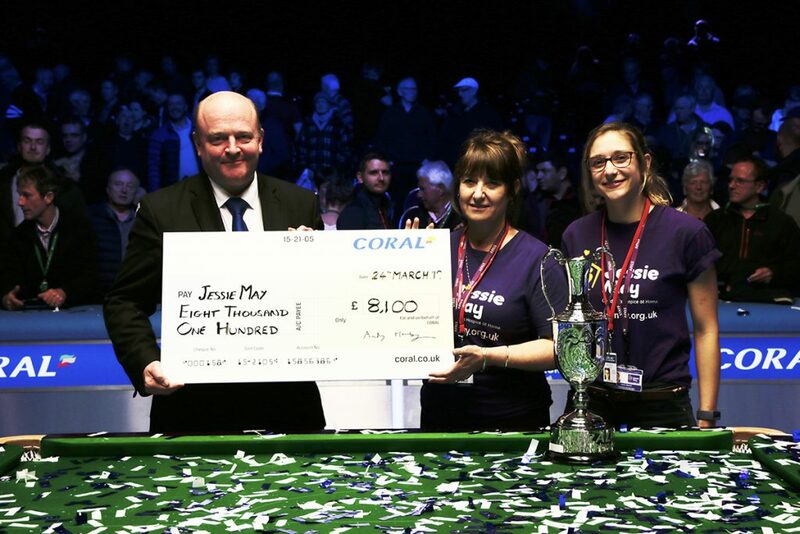 Coral has donated a total of £8,100 to Jessie May Children’s Hospice at Home following the conclusion of the Coral Snooker Series. For every century break made during the series of three tournaments, Coral donated £100, plus an extra £1,000 when Ronnie O’Sullivan made his 1,000th career century. Last week’s Coral Tour Championship in Llandudno saw 22 centuries made, bringing the total for the series to 71. That left the total Coral Series Charity Donation at £8,100. O’Sullivan lifted the trophy in North Wales, beating Neil Robertson 13-11 in the final. 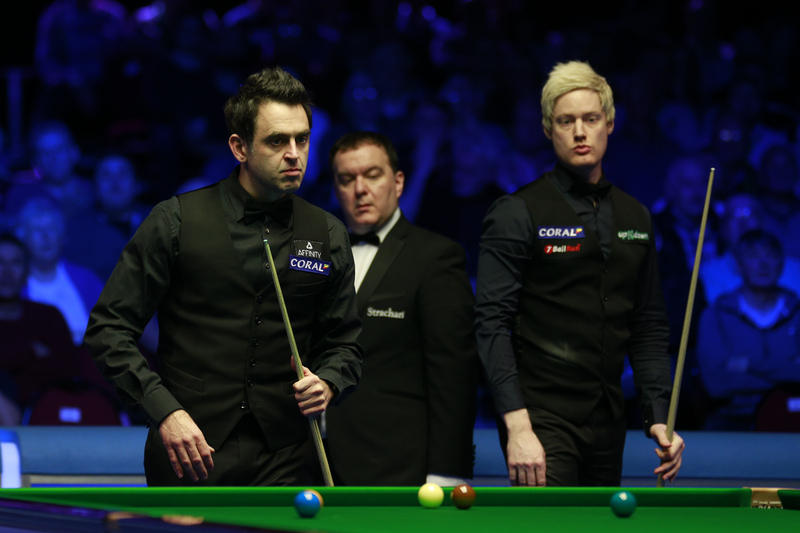 O’Sullivan made eight centuries during the event, while Robertson made six. Based in Bristol, Jessie May has been World Snooker’s official charity since 2016. It provides a hospice at home service for terminally ill children, offering care to families in the Bristol area. Lindsey Horton, Corporate Partnerships Officer at Jessie May, said: “We are delighted to have accepted this incredibly generous donation from Coral. With help from World Snooker, they continue to make a world of difference to our charity. We’ve been keeping our fingers crossed for century breaks throughout the tournament and had a fantastic time in Llandudno this weekend for the final of the Coral Tour Championship. And what a final it was! Coral’s John Hill added: “The Coral Snooker Series has been a huge success and we are delighted that the world’s best players were able to rack up as many centuries as they did which ensured we handed over a sizeable cheque to what is a fantastic charity that does amazing work for children and their families. “Ronnie O’Sullivan’s 1000th century was a huge milestone in the sport so we wanted to mark the occasion with an additional £1000 which helped us to reach the total that we did,” added Hill.